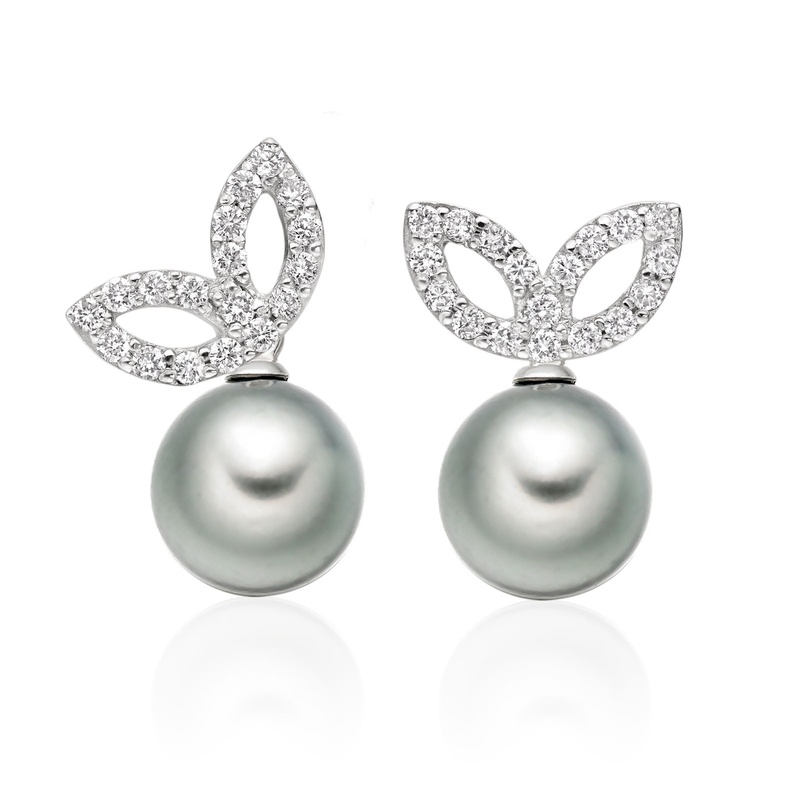 Beautiful leaves of white gold and diamonds sparkle with this pair of elegant Tahitian pearl earrings from our Lief Enchanted collection of fine jewellery. 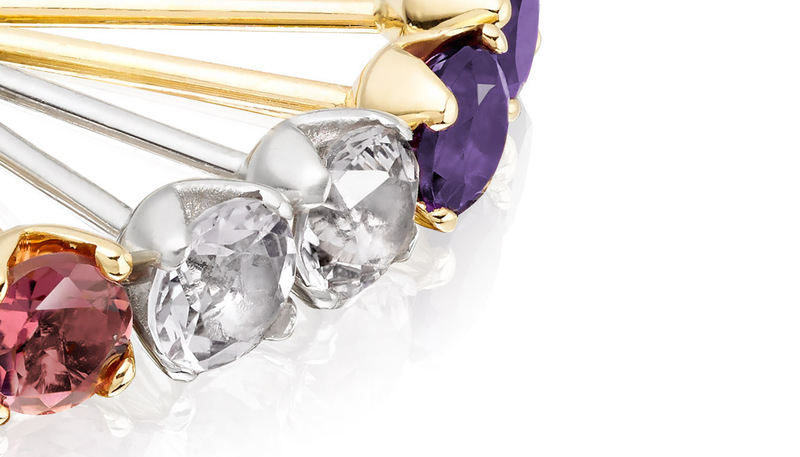 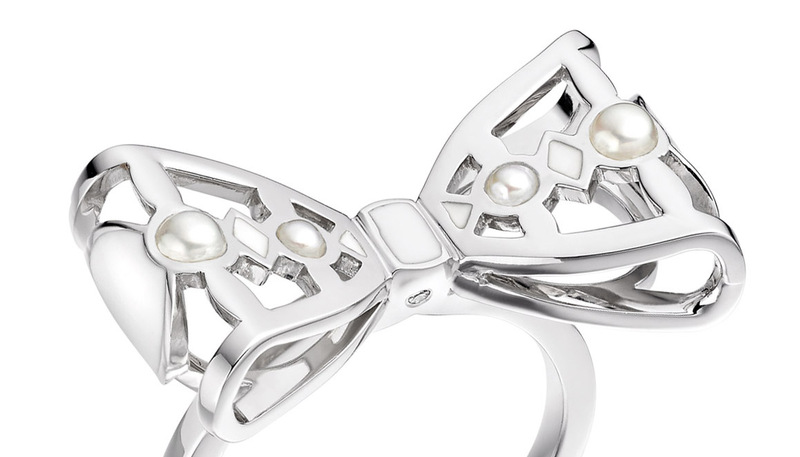 Inspired by the mystical motif of a wild northern flower and the old English word for Beloved, the Lief Enchanted collection is an intricately crafted collection of fine jewellery that can be worn individually or interchangeably with pearls. 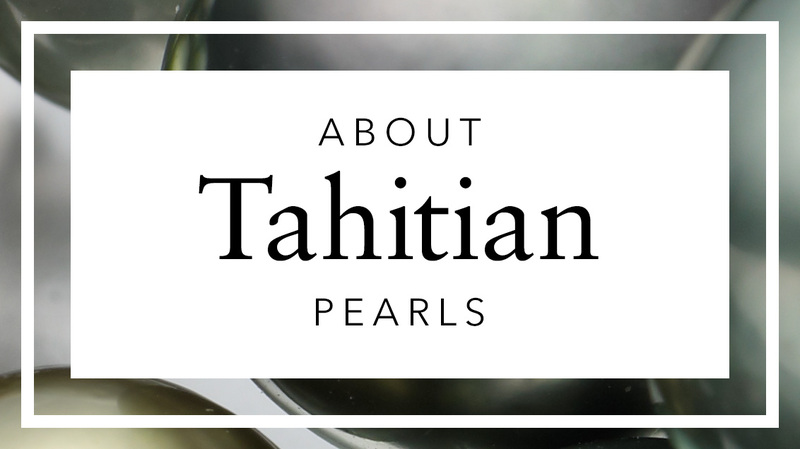 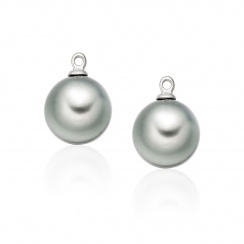 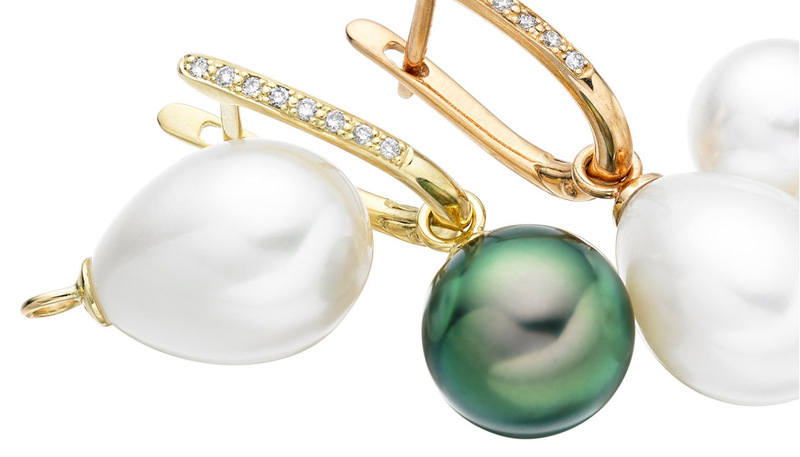 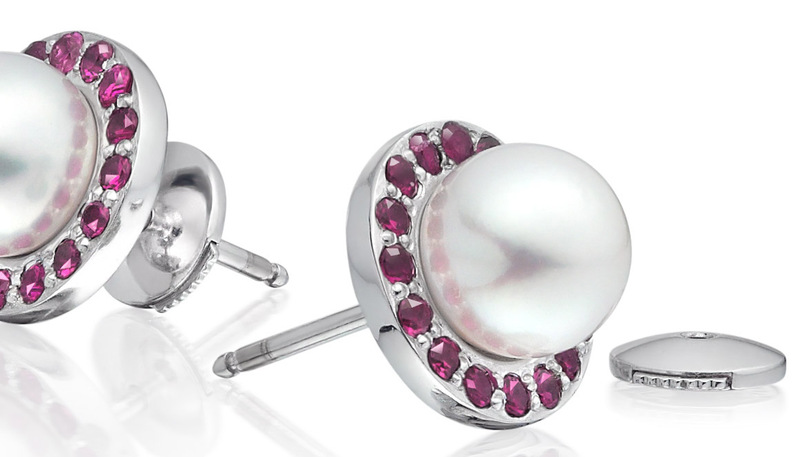 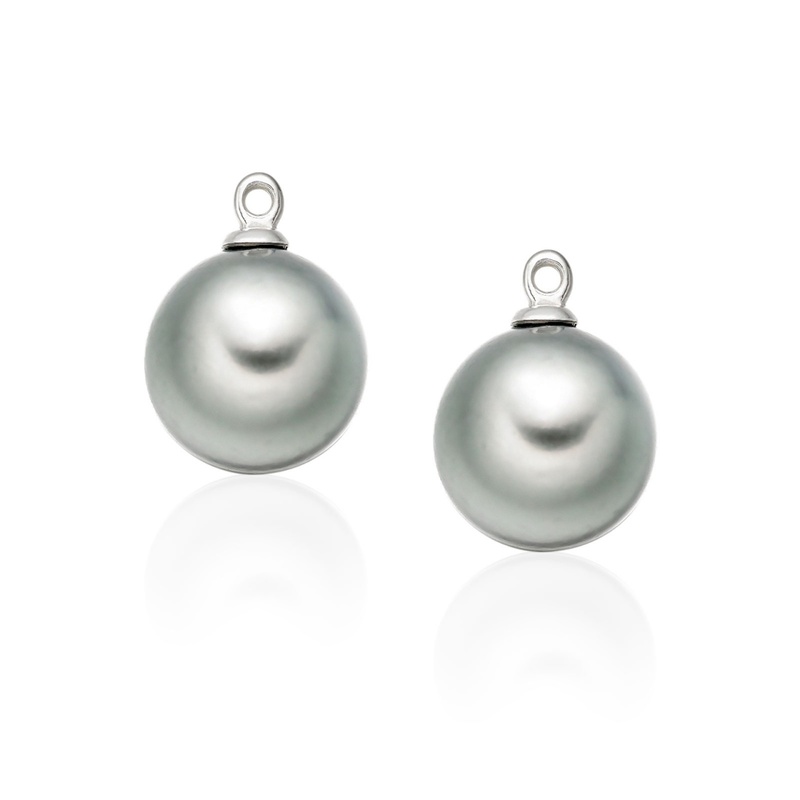 Choose a style to fit occasion, as the earrings can be worn with a pair of naturally grey Tahitian pearls, that can be easily fitted on or off the gold post of the earring. 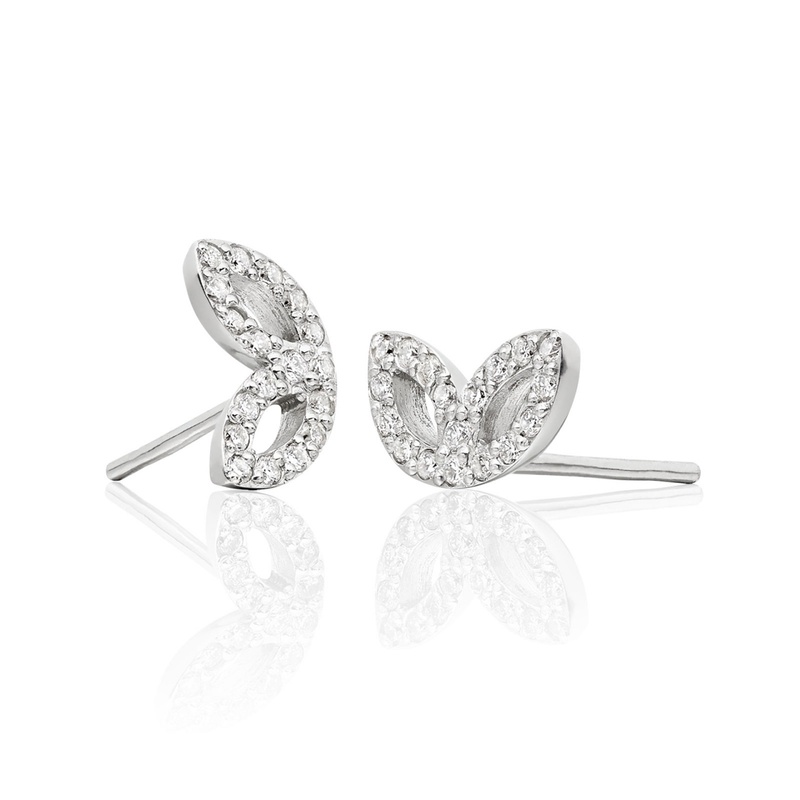 A perfect piece of jewellery to be worn elegantly from day to night, these earrings are also available in 18 carat yellow gold.